Enough of drinking beer out of a thimble – come to Roundhouse after Tapped and Corked and get your beer in a jug like a real person. Beertenders, brewers, distributors, buyers, suppliers – please join us for an after-party at Roundhouse! Enjoy music from Acoustic Wallpaper in the taproom and complimentary Giovanni’s Pizza to keep the party going! – Wear your local BEER GEAR for $1.00 off pints! 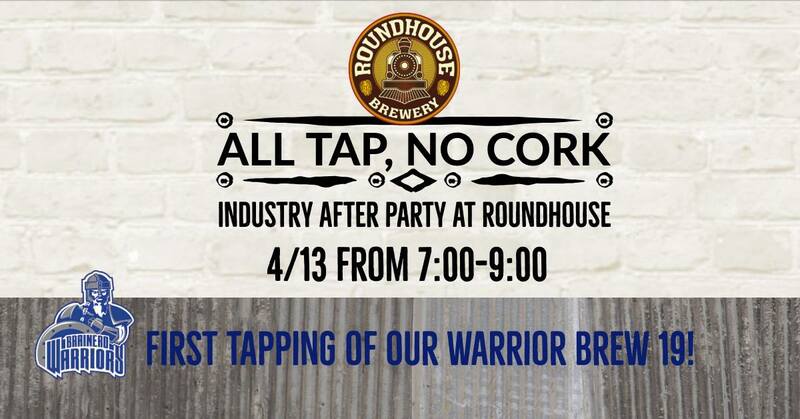 – Stop by the Roundhouse booth at Tapped and Corked for a chance to win beer specials redeemable at the afterparty. Live music, pizza, craft beer and good company… what more can you ask for on a Saturday night? !